Cruising is a great way to warm up a cold winter! And as we close out another hot summer season, we all know that soon enough another long, cold winter will be upon us. So why not plan now for a warm, sunny cruise? 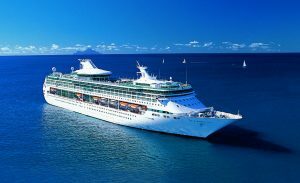 To make it even better, there are some amazing sales and promotions available for some of the most popular cruise lines out there! 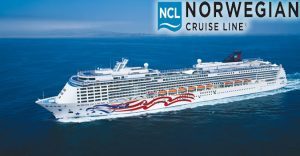 So let’s take a look at a couple of my personal favorite cruise lines and the great promotions they are offering! 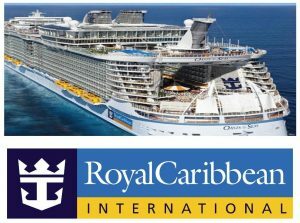 Right now Royal Caribbean is showing off their amazing holiday sailing packages! Let Royal Caribbean® make your spirit merry and bright this December. All month long, they’re hosting the biggest holiday celebration at sea featuring Santa and his elves, snow days on deck, your favorite DreamWorks characters, and more. And if you joins them over the holidays, you’ll get some extra holiday cheer with 25% off third and fourth guests – plus up to $400 to spend at sea. So join them onboard and start a new, decked out tradition. Royal Caribbean also has two ‘sister’ cruise lines as well: Azamara and Celebrity! And yep, you guessed it, there are some awesome offerings from these two as well. For Azamara, you can get an amazing double upgrade! Imagine yourself enjoying complimentary room service on your veranda as you sail across the Mediterranean watching the sunrise. Now imagine that you’ll only have to pay for an interior stateroom to do just that. When you book a select voyage between September 1 and November 30, 2016, you’ll get a complimentary double upgrade from a club interior to a club verandah stateroom! NICE! For Celebrity Cruise Line, you can enjoy the ‘Two if By Sea’ sale! Half off the second guest, plus GO BIG with free drinks for both. On your next vacation (to almost anywhere they sail), save 50% off the second guest’s fare, plus GO BIG and get complimentary Classic Beverage Packages for both guests in an ocean view stateroom or higher. So you can sip cappuccinos in Rome, hot toddies in Alaska, rum punches in the Caribbean… you get the idea. It’s the perfect combination for an unforgettable, modern luxury vacation — sip and save together. Sailing date range from December 1, 2016 – April 30, 2018. The booking window for this amazing offer (which I personally have taken advantage of!) is only through September 18th for 3 night or longer sailings through 2017. This is an awesome deal, so you won’t want to miss it! Now I’ll bet you’re ready to start planning your amazing cruising adventure, right? It’s easy and fun when you contact Our Laughing Place Travel and let one of our awesome travel pixies get you all the details and help you chose and book the perfect cruise for you and your family. Bon Voyage! Previous PostWalt Disney World Holiday DiscountNext PostUniversal Is EPIC! Jodi Travel Pixie For Jodi, love of Disney is a life time family tradition. As a young child, she often heard her parents talk of their love of Disneyland, and one of her fondest memories is her dad teasing her in his Mickey voice. When the time came for the family to make their first Disneyland trip in the early 1980's, it started a love of all things Disney that continues to this day. With more trips to Disneyland and Disney World than her two hands can count, Jodi was a natural for taking her love of Disney to the business of helping others create their magical vacations. These days, Jodi's passion for Disney includes helping others plan their own magical vacations at Disney Parks, Disney Cruise Line, and Adventures by Disney! Jodi will always go the extra mile to ensure that all her clients have a perfectly pixie dusted trip! Jodi says the magic just grows with each vacation she helps plan and every magical memory she helps create.